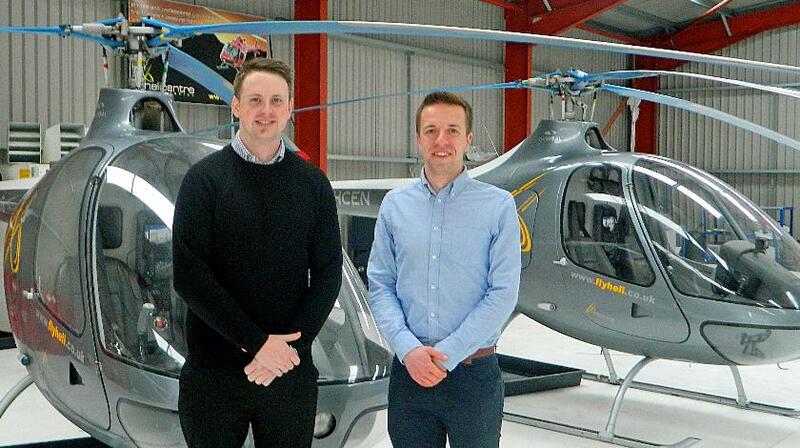 Helicentre Aviation Academy has announced the award of a Commercial Helicopter Pilot/Flight Instructor Sponsorship as well as its annual Commercial Helicopter Pilot Scholarship, with a combined value in excess of £100,000. Callum Tinnion, the Sponsorship winner, completed his PPL(H) last year and has just over 70 hours. This is the first ever Sponsorship offered by the company, which unlike others in the industry, covers the full cost of all the required flying from hour-building to commercial ground and flight training, as well as the Flight Instructor course, totalling over 180 flying hours, that Callum will never have to pay back. Training will be undertaken in-house at the company’s Midlands-based facility on a variety of helicopter types including the Guimbal Cabri G2, the company’s flagship training platform. Callum was absolutely delighted to learn he had been chosen for the award after such a rigorous selection process. He said, “The Sponsorship will allow me to focus all my energy into what I have wanted to do for as long as I can remember, and I look forward to taking on the challenges of training and in working in this dynamic industry” he remarked. Immediate full-time employment has been guaranteed for Callum on completion of training as part of the Sponsorship award.